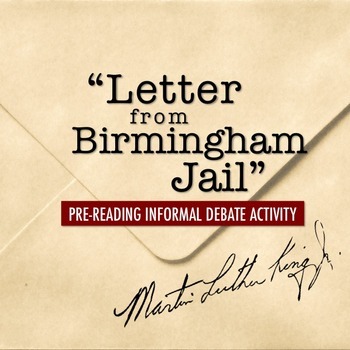 Hook your students from the start as they connect to Martin Luther King Jr.’s “Letter from Birmingham Jail.” In this “Five Corners” informal debate activity, students take a stand (literally!) 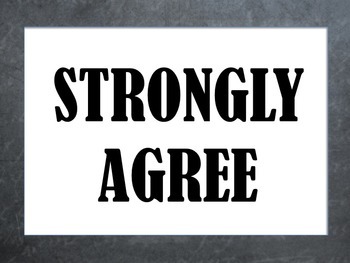 on controversial statements related to themes in "Letter," vote with their feet by walking to areas of the room that show their level of agreement or disagreement, and present arguments on the fly. 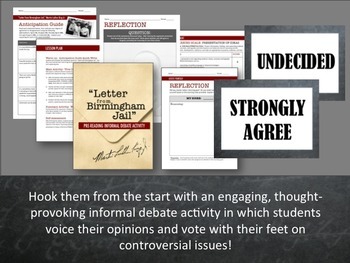 Students LOVE this engaging activity that gets them moving--AND thinking deeply and debating about important topics! After the activity, students do a written reflection on one of the topics discussed, then assess their own learning based on the provided CCSS-aligned learning scale. 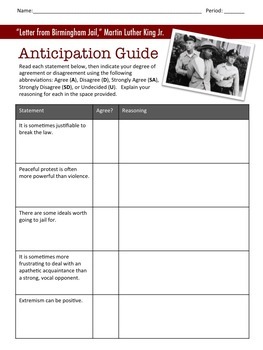 Spark your students’ interest in MLK’s iconic “Letter” and hone their speaking and writing skills—all while having fun along the way!